Just in time for summer! 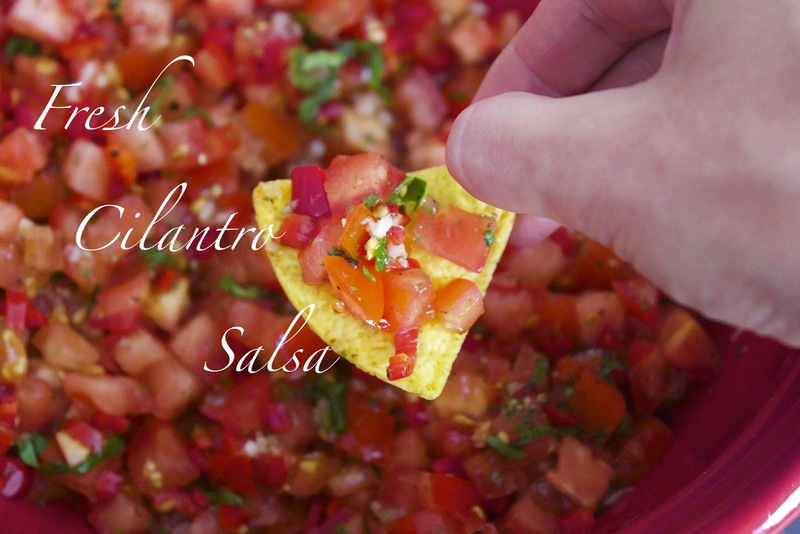 This salsa recipe is a wonderful addition any recipe collection! Chopping all those veggies can be a little time consuming but, trust me, it's worth it in the end. This fresh condiment has a the feel of the pico de gallo you would get at a Mexican restaurant. Definitely good! It also involves fermenting, a flavor boosting and health-promoting process. The fermenting process takes two days, so give yourself time before you plan on serving it. Peel tomatoes (check out this video for how to peel tomatoes). Mix all ingredients and place in a quart-sized wide-mouth jar. Press down lightly with a wooden pounder or meat hammer, adding more water if necessary to cover the vegetables. The top of the vegetables should be at least one inch below the top of the jar. Cover tightly and keep at room temperature for about two days before transferring to refrigerator. *Here is an article on how to separate yogurt and whey. Basically you just line a strainer with paper towels and let the whey drip into a bowl, but this article has a more thorough explanation. Sounds like a fancy step, but really it's quite easy.